Self-righting capacity, head is supported above the water. Buoyancy provided by polyethylene foam. Outershell 100 % polyester, fluo orange for optimum visibility. 100 cm2 retro-reflecting stripes for night-time recognition. 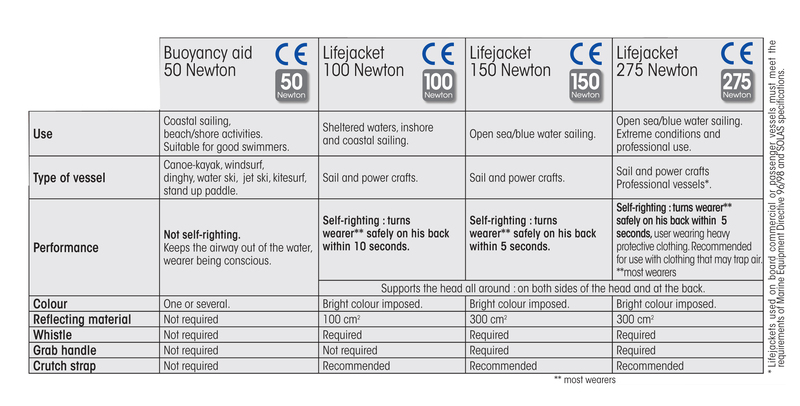 For cruising, 100 Newton lifejackets appear to us as the minimal "reasonable" personal safety equipment. 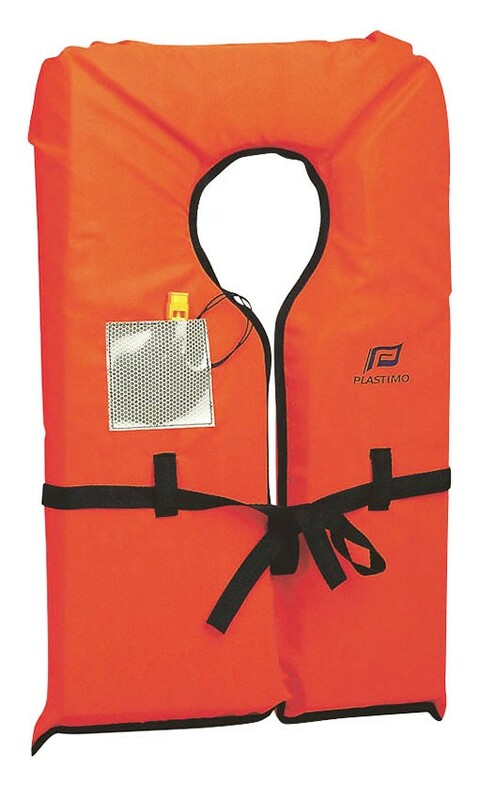 It is only from the 100 Newton category onwards that a lifejacket is fitted with signalling equipment and that it has a self-righting ability (i.e. it is designed to turn most wearers face up, even unconscious). This is also the reason why children’s lifejackets (wearer 30 kg max.) exist only as from the 100 Newton category. Lifejackets and buoyancy aids used in recreational or professional activities must comply with the specifications of the European Directive 89/686/CE on Personal Protective Equipment. 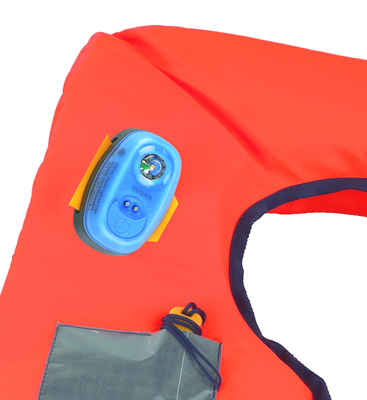 The CE mark of approval must be printed on the garment's label and testifies that the lifejacket complies with the European Directive. 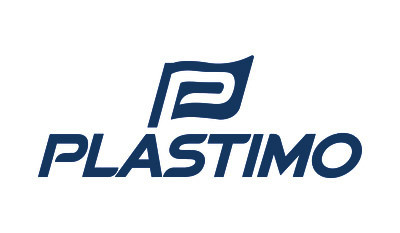 Lifejackets are ranked in 4 categories according to their use, performance ans buoyancy level.